The first ever Canadian version of the “Big Brother” reality television series will air next season. “Big Brother Canada” will air on the Slice network during the 2012/13 broadcast season, Shaw Media announced Wednesday. Endemol, the producers behind the U.S. version on CBS, will produce the show with Canada’s Insight Productions. The series is produced in 25 different formats globally and airs in 87 countries. Big Brother U.S. has been a top ranked show on Global’s schedule for 13 seasons. The show will see contestants living under one roof while being monitored 24/7 by wall-to-wall cameras and microphones. House guests will compete in weekly challenge to advance in the game and earn perks, while trying to remain off the radar and becoming voted out. “The production of this format is hugely exciting as it takes us into unchartered territory, filming live around-the-clock and enabling fans to interact with the series in ways we’ve never explored before,” said Barbara Williams, senior vice president of content for Shaw Media. Details on casting and production will be revealed at a later date. 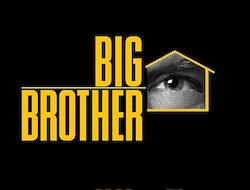 The 14th season of the U.S. “Big Brother” will air on Global beginning July 12.